Mercedes seems to have something of a reputation for painting over the ugly parts and starting again, or rather, improving on enduring models that cynics may otherwise have suggested cease production. One enduring model is the Mercedes-Benz G-Class, which has been reinvented as the new G-Class, the Mercedes-Benz G Wagon. What does G Wagon mean? 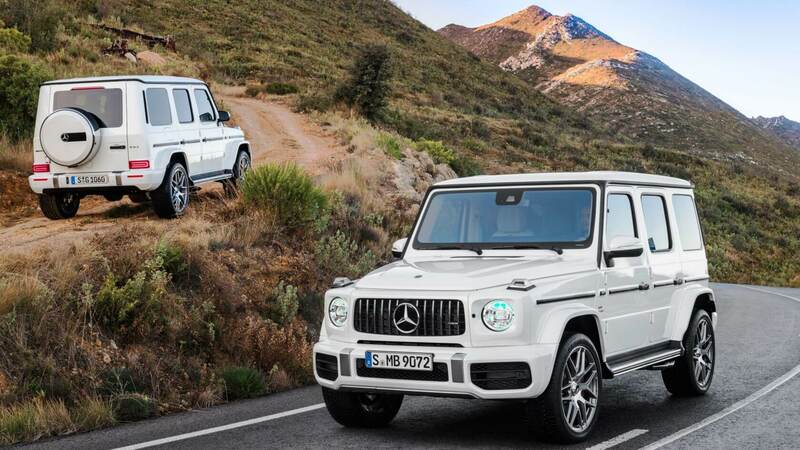 Known interchangeably as the G-Class or the G Wagon, this time around, Mercedes-Benz World have brought the classic G-Class into the UK, with some marked improvements. This mid-sized four-wheel drive luxury SUV was initially conceived as a military vehicle. Today, we get to enjoy it in a domestic sense, and we’re certainly looking forward to those new tweaks. 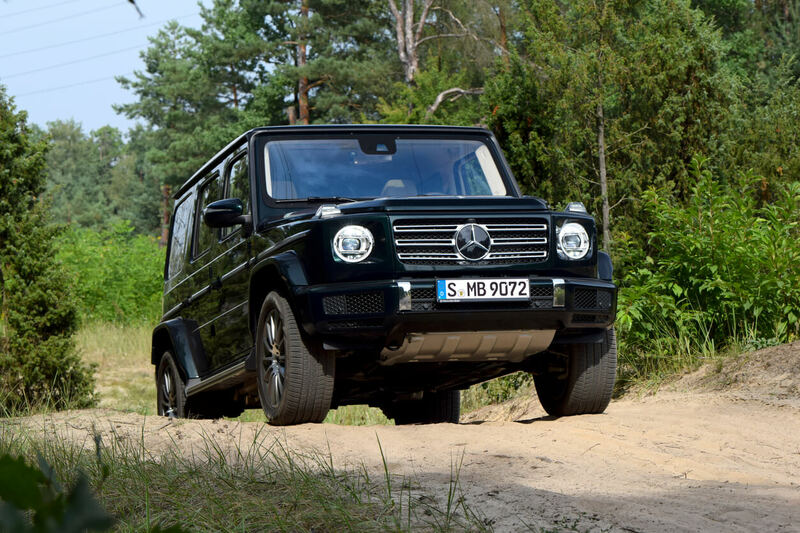 The new Mercedes G Wagon 4x4 is letting go of the old features that plagued it in eras as far back as the 70s. Everything is gone, save insignificant features such as the door handle button and the headlight washer nozzles. So what takes its place? 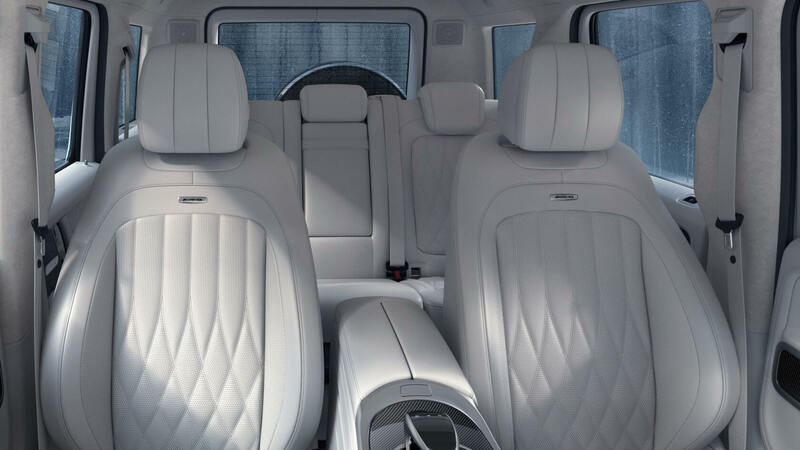 While the team at Mercedes claimed they wanted to be true to its original off-road design, this time they’ve put more love into interior comfort and overall ride smoothness. This translates as a full-length ladder frame chassis with independent front suspension, a body that’s 55 per cent stiffer and an improved water wading depth of 700mm (up 100mm on previous models). While you can’t adjust the chassis, you can lean to 35 degrees if you dare, and drive down 45-degree slopes. Yikes! With the new release, there’ll only be one engine available: the Mercedes G Wagon AMG twin-turbo V8. This is a wise choice as it makes up for two thirds of all sales globally, while a 4-litre AMG GT R diesel will arrive next year. Also out next year – keep your eyes open for the Mercedes G Wagon Brabus, which has been upgraded to offer a carbon fibre body and 23-inch wheels with a 4-litre V8 engine. A 4X4 was never going to have the best fuel economy, and this one is no exception. It claims to reach 21.4MPG, though this is more likely around the 18MPG mark, but then, for 0-62MPH speeds of 5.9 seconds in some models, it’s still pretty impressive. How much does a Mercedes G Wagon AMG cost? 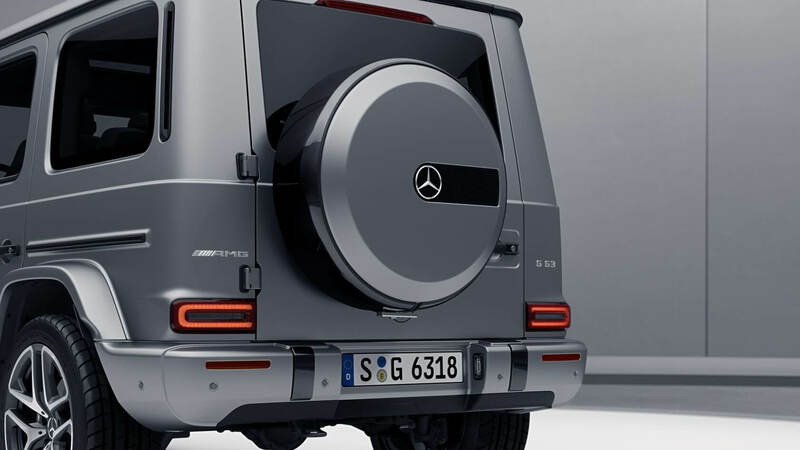 With all these improvements, just how much is the latest G Wagon? It’s got a starting price of £140,520, increasing to £161,710 for the Mercedes-AMG G 63 Edition 1. 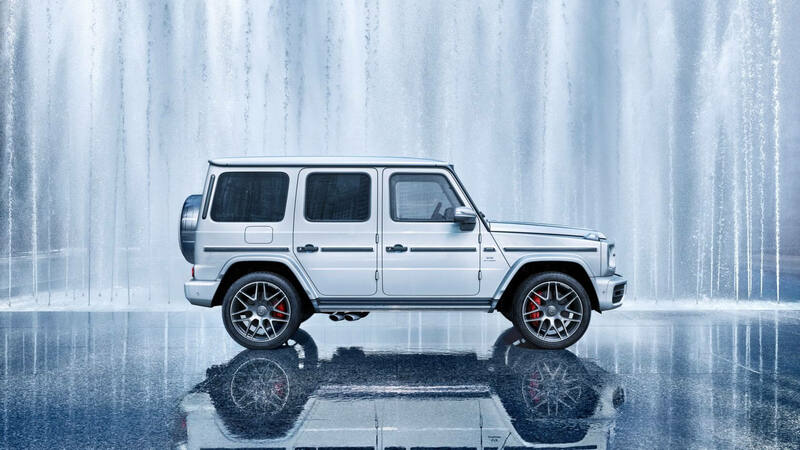 Finance options will set you back a teeth-gritting £2,388.70 per month, while you can find a brand new Mercedes G Wagon lease for around £1540 per month (including VAT). The question is, do all these improvements justify the asking price? Certainly, it’s a vast improvement on the old G-Class, and while it hasn’t quite reached Range Rover status yet, there’s an all-round increased feeling of confidence as you take it through demanding off-road situations. Of course, despite its top speeds of 119MPH, the G Wagon isn’t a car you want to drive fast, but then neither is any off-roader. The steering is far more responsive than before, and though it’s a little shuddery, it’s incredibly nippy for such a heavy beast. As we’ve said above, it’s not something you’d want to drive fast, particularly given its thirsty nature, but it’s nice to know we can. This time around, we have an additional 150mm of legroom, so Mercedes have stayed true to their word when they said they wanted to improve comfort. There are twin 12-inch screens straight out of the S-Class and the infotainment system features a very welcome 15 speaker, 590-watt Burmester sound system. Crank up the volume and take it off-road for maximum effect. We have to praise Mercedes for keeping their promises: there’s an overall better air of safety and it’s even been upgraded in terms of aesthetic design too. It’s no Range Rover Evoque, but there are the options to select a matte black finish, while the ambient LED headlights do make it feel a little bit special. Naturally, owning a new G-Class isn’t going to come cheap, whether you’re leasing or simply keeping up with the thirsty engine. We could give or take its top speeds, particularly considering it’s an off-roader, but we are very happy with the upgrades to the comfort. If you’ve got the cash, it’s definitely worth taking this step into the 21st Century.